We had the threat of tornadoes on Thursday. I’ll admit it – I’m a big scaredy cat when it comes to tornadoes. (Years ago when I lived by myself, there was one that touched down really close to my house. It was sooo scary!) So, any time they’re in the forecast I go into a mini state of panic. Okay, maybe that’s an exaggeration…at least until they’re scheduled to arrive. I’m definitely thankful that the storms passed and we were safe. Hopefully you are too! Earlier this week I was hankering some brownies. I didn’t have a box mix on hand so I opted to make some from scratch. I whipped up this Homemade Brownie Recipe. 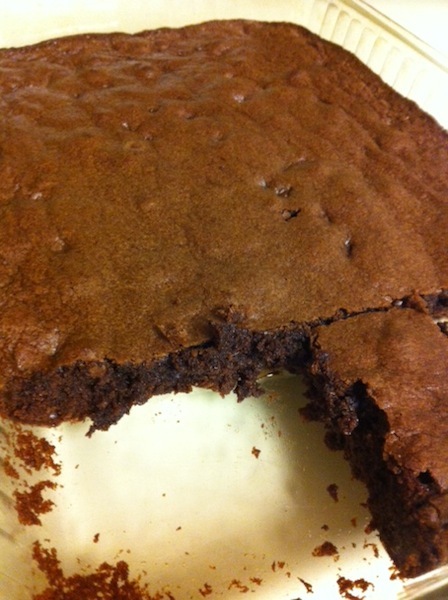 These were the best homemade brownies I’ve ever had – moist and delicious! We all have those lazy moments when we don’t want to go to church. (Or maybe it’s just me.) Wednesday was a dreary day and I had almost talked myself out of going to church to worship with the students. But then I realized I was being selfish and forced myself to go. Here’s a post from the archives that will make you think! Before you think I’m crazy, please hear me out. 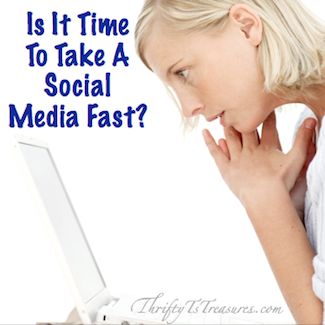 Read Is It Time To Take A Social Media Fast here. Well, that’s a peek into my week and a bit of the “excitement” that’s gone on around our house. What have you been up to? Favorite Pinterest Finds | Kitchen Tips	Do You Really Mean It When You Say, “I’ll Pray For You”? Me too; thanks for sharing this wonderful recipe!